In view of the official warning issued this morning relating to the situation in Brussels, the decision has been made to cancel/postpone the Plastics Recycling Show Europe planned to take place at the Tour & Taxis venue in Brussels next week. Brussels is now on the “highest alert level” with warnings of a “very serious” and “imminent” threat. Therefore regrettably we must take action to cancel the event. Crain Communications Ltd takes its responsibilities extremely seriously and has a duty of care to its customers, staff, suppliers and colleagues and we will not in any way risk their safety and security. A decision will be made at a later date regarding when will be a suitable time for the event to take place. If you have any issues over this matter then please contact me or one of my colleagues. • Corrosion resistant due to its hot dip galvanised steel frame. Brushtec has recently taken order of its largest commission into China. In August of this year, Brushtec gained a one year contract to supply a Chinese cleaning machine manufacturer with rotary pad holders, and scrub brushes for each of their newly manufactured machines. 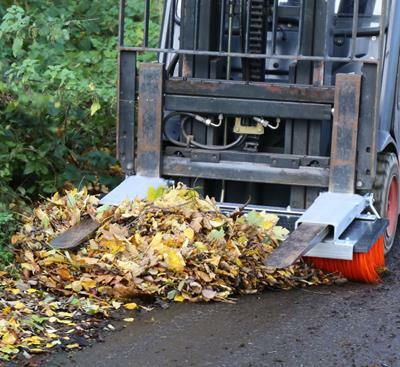 Each new machine will come supplied with a Brushtec pad holder, stiff scrub brush, and carpet shampoo brush. 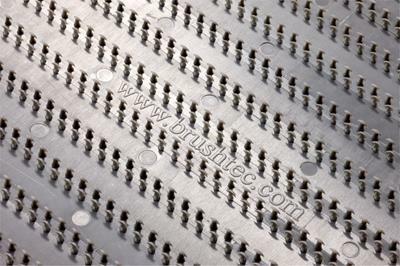 This order now represents the largest commission Brushtec has received from the Chinese mainland. Brushtec was able to offer not only an assurance of high quality of product, and service, but also of price. With continuing investment into new and robotic production, Brushtec has been able to keep prices at a competitive level with Chinese production. Brushtec has high expectations that this new business relationship will continue for many years to come. Know anyone who might be interested in our newsletter? to up to 5 friends at once. The opening session of the Plastics Recycling Show Europe 2015 conference will focus on the most pressing issues within PET recycling including thermoforms plastics recycling, titanium dioxide in food content applications and increasing the availability of recycled PET from used bottles. The following PVC session will look at current collection schemes systems and recycled volumes across Europe, the legislative framework for PVC recycling and will provide an insight into the Product Environmental Footprint Project. Speakers at the HDPE material focus session will look at hazardous waste classification, brand owners’ use of recycled PP and the future of HDPE recycling. The LDPE session will cover existing collection schemes for LDPE and the consumer perception of plastics in the horticultural industry. Speakers in the mixed plastics session, a relatively new and developing area of plastics recycling in Europe, will focus on the recycling potential of the mixed plastics and recycling of PE, PP, PS and PTT plastics. Keynote sessions on the conference’s opening day include David Ingram, Director (Fabric & HomeCare Packaging R&D), Procter & Gamble on Sustainable packaging – introducing PCR for Fabric Care bottles and Jonas Bystrom, Senior Engineer at the European Investment Bank on Financing recycling in a circular economy. Sessions on day two of the conference focus on the biggest challenges facing the plastics recycling industry, the plastics recycling process and the latest design, technology and innovation. Topics covered will include finding markets for recycled materials, coping with price volatility in the virgin market and the future for producer responsibility schemes. The Plastics Recycling Show 2015 brings together key players from the plastics and recycling sectors in order to learn, network and capitalise on the business opportunities plastic recycling offers. A broad cross section of the industry will be represented at the event including plastics recycling machinery and equipment suppliers, plastic material suppliers and compounders, handling and logistics services, pre-processors, plastics recyclers, waste management specialists and industry associations. Among more than 60 companies and organisations from across Europe featuring in the exhibition are Buhler, B+B Anlagenbau, CK Group, Erema, KraussMaffei Berstorff, Lindner reSource, Recyclix and Suez Recycling & Recovery. The Plastics Recycling Show Europe 2015 is an exhibition and conference specifically for plastics recycling professionals. It brings together key players from the plastics and recycling sectors in order to learn, network and capitalise on the business opportunities plastic recycling offers. Organised by Crain Communications in association with PRW and Plastics News Europe, PRE takes place at the Tour & Taxi venue, Brussels 25-26 November 2015 and is co-located with the annual meeting of Plastics Recyclers Europe (PRE). PRE represents 80% of European mechanical recycling capacity and has over 115 members across the EU. out in cooperation with the IFH Cologne is the first step here." by online suppliers will shed light on the theme from a wide range of angles. Marketplaces 2016 - what it really comes down to" at the beginning of November. Executive Director of the IFH Cologne. decisions regarding the theme of eCommerce. 2015 is a very special year for GEKA because we are celebrating our 90th anniversary. Founded as a small company for the production of brushes in 1925, the GEKA Group has now grown into a global company with 900 employees worldwide, and three successful divisions: GEKA Beauty, GEKA Healthcare and GEKA Accessories. This year, we have not only purchased OEKA, but are also opening a new manufacturing site in Brazil. There will be always something going in the colorful world of GEKA. Visit us at our new website or at further exhibitions this year. continuously optimise themselves. "We're not talking about smart products," says Engleder. smart services that improve availability quickly and efficiently thanks to close proximity and the use of remote maintenance tools. proves transparency – both in local operations and at a global production network level. vice requests can be sent via smartphone. manufacturers with the tools they need to master this complexity. advantage of together with our customers." worked with each other. Self-adapting, decentralised systems boost process capability and quality. they need to compete and succeed with new technologies and leading-edge production systems. Roissy, 6 octobre 2015 – FedEx Express, filiale de FedEx Corp. (NYSE : FDX) et acteur majeur du transport express international, a mis en place un nouveau procédé pour nettoyer la carlingue de ses 13 avions rattachés à son hub de Roissy-CDG et parcourant des trajets intra-Européens. Au-delà de l’avantage purement esthétique, cette nouvelle technique permet à FedEx d’être plus respectueux de l’environnement, de contribuer à l’emploi local et de réduire ses coûts. La technique de dépollution humide Eco-Shine, élaborée par l’entreprise française UUDS est plus écologique que celles utilisées traditionnellement. L’application du produit anti-statique biodégradable, non toxique et non inflammable est réalisée à l’aide d’une perche munie d’une micro fibre spécialement conçue pour cet usage. Un rinçage à l’eau claire est ensuite effectué en utilisant le même procédé d’application, divisant la consommation d’eau par 100 par rapport à une solution de nettoyage de carlingue d’avion classique. Le nettoyage, parce qu’il est effectué à la main grâce à une technique éprouvée dans le monde favorise donc l’emploi local au travers d’une formation dispensée en interne par UUDS. FedEx tire par ailleurs plusieurs avantages de cette nouvelle technique de nettoyage. Alain Chaillé, Vice-Président des Opérations Europe du Sud de FedEx, déclare : « Après le nettoyage, les surfaces sont plus lisses, donc la pénétration dans l’air des avions est meilleure, ce qui réduit la consommation de carburant ». En hiver particulièrement, le nettoyage est crucial en raison des opérations de dégivrage au glycol, qui encrassent beaucoup les carlingues. FedEx Corp. (NYSE : FDX) fournit à ses utilisateurs et à ses sociétés clientes à l’échelle mondiale une large gamme de services de transport, de commerce électronique et d’affaires. Avec des revenus annuels de 48 milliards de dollars, la société propose des solutions intégrées à travers son réseau de filiales, qui opèrent conjointement et sont gérées en collaboration sous la marque respectée de FedEx. Figurant constamment au palmarès des entreprises les plus admirées et les plus fiables, FedEx motive son personnel, soit environ 325.000 personnes, pour qu’il se concentre de façon « absolue et positive » sur la sécurité, les normes éthiques et professionnelles les plus élevées et sur les besoins de ses clients et de ses communautés. Pour plus d’informations, veuillez consulter http://news.van.fedex.com/. Hannover. This year LIGNA, the world’s leading tradeshow for wood processing and woodworking machinery, plant and tools, featured 1,552 exhibitors – including 56 percent from outside Germany – and occupied 121,195 square meters (1,304,530 sq. ft) of net display space. The top exhibiting nations included Germany, Italy, Austria, China, Sweden and the USA. The show attracted some 93,099 visitors, 40 percent of whom were from abroad. The visitors leveraged the show to survey the latest innovations in their industry and initiate extensive investment in new technology. “Exhibitor feedback points to outstanding business dialogue, promising leads and strong international growth. For us and our partner, the German Woodworking Machinery Manufacturers’ Association, this provides a good basis upon which to introduce a number of structural changes for the upcoming LIGNA season,” said Christian Pfeiffer, the Director in charge of LIGNA at Deutsche Messe. LIGNA, which is held at the Hannover Exhibition Center in Hannover, Germany, next runs from 22 to 26 May 2017. The upcoming season will continue LIGNA’s long-standing commitment to presenting future-defining solutions and innovative production equipment for the wood industry – albeit with a revamped layout that will boost efficiency for all trade visitors and provide a more comprehensive, user-centric overview of all key technologies. The move to merge the “Solid Wood Processing”, “Furniture Industry” and “Woodcrafts” (skilled woodworking trades) categories into a new “Tools and Machinery for Custom and Mass Production” category, in particular, has already met with very positive industry feedback. The new category will present the constituent technologies in an integrated manner that more accurately reflects the way in which they are used by their target markets. By clustering allied technologies, the change will shorten visitors’ walking distances between relevant displays and generate synergies with newly created neighboring display areas. Another change relates to automation technology/machine components and surface technology. These two technology categories have grown in importance at LIGNA over the years and will therefore have their own centrally located display areas from 2017 on. “The new layout reflects changes in the way technologies are used by our target market. The market for woodworking and processing machines is no longer strictly segmented according to user scale or size, and technology types that were once distinct are now converging. We want to provide a more efficient trade fair experience for all the professionals in attendance by enabling them to move quickly and conveniently between exhibitors of relevance to them. The new layout has been very well received by our exhibitors. In fact, many have already registered for 2017 in order to secure their preferred locations at the show. We therefore urge companies thinking about exhibiting at LIGNA 2017 to register now in order to avoid disappointment,” remarked Pfeiffer. COMMERCE, CA On yesterday's TODAY Show on NBC television, contributor Jill Martin, Emmy Award-winning television personality, sportscaster, fashion expert, and co-author of the New York Times bestselling style guide "I Have Nothing to Wear!" "Fashion for Dummies" and "The Weekend Makeover", shows Kathie Lee and Hoda the benefits of using the FootMate® System (www.footmate.com) in the shower. Hoda said, "that's genius in the shower!" 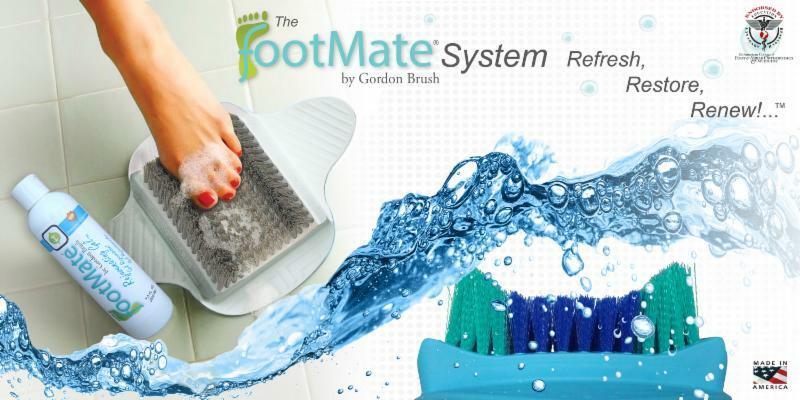 The FootMate® System by Gordon Brush is a complete foot care system for cleaning, soothing, stimulating, and massaging your feet every time you shower. The FootMate® System leaves feet thoroughly cleaned, conditioned, and massaged, including the often neglected areas between the toes. The massage stimulates circulation and blood flow to the feet and produces a feeling of all-over well-being and health. 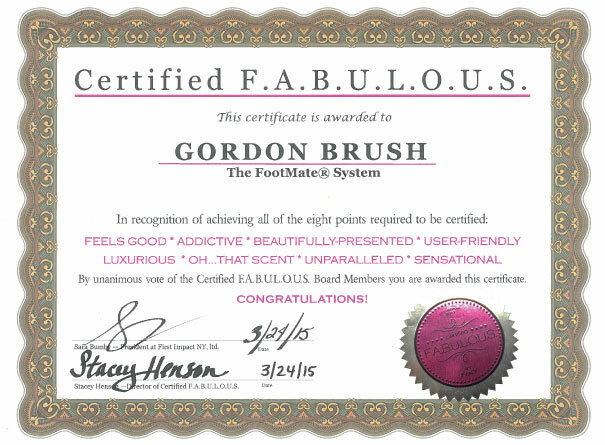 The Podiatrist recommended FootMate® System is the Ferrari of Foot Care! Regular use of The FootMate® System can help stimulate blood flow to the feet and aid in keeping circulation problems to a minimum. The FootMate® System is good for your health as well as your Soul. This system is for anyone who wants to experience the benefits of a soothing foot massage while taking better care of their feet- people with diabetes, arthritis, back pain, athletes, pregnant women, etc. Rather than waiting for your feet to experience the rigors of daily life, our goal is to help you maintain the best possible foot health before foot issues occur! Gordon Brush Mfg. Co., Inc. is an ISO 9001:2008 certified and leading manufacturer of specialty, custom and standard brushes for industrial and consumer purposes. The company makes the FootMate® System as well as over 15,000 other medical, industrial, janitorial, and electronic brushes at its 51,000 sq. ft. manufacturing facility in Commerce, California. It stocks over 2,000 different brushes for same day shipment selling to a variety of industries including medical, electronics, manufacturing, military, aerospace, and pharmaceutical. Gordon Brush has been featured on the ION Network, Discovery Channel, Bloomberg News, The Real Talk Show, and in the Los Angeles Times. The company has received Member Resolution No. 1402, sponsored by Senator Ronald S. Calderon, 30th California State Senate District. 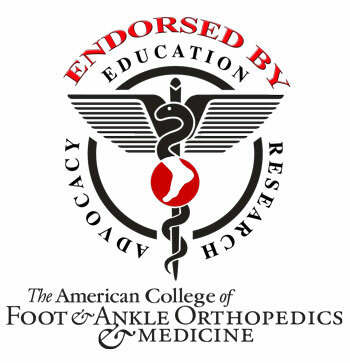 The FootMate® System is endorsed by the American College of Foot & Ankle Orthopedics & Medicine (ACFAOM). Plastex is a plastics factory founded in 1936, whose hip flasks and canisters are part of Finnish everyday design history. Now the company has launched a crowdfunding campaign engaging its customers to participate in developing its product selection. In the crowdfunding campaign launched on 3 June 2014, Plastex is collecting feedback for developing the Hookie product idea. Hookie – The Hanging Herb Garden is a novel type of hanging basket pot, whose playful organic design enables the pots to be joined together to form larger units. - Hookie originated from the idea of whether a single hanging pot could serve as a hanger for several hanging pots without the need to affix additional fixtures, says Niko Laukkarinen, the industrial designer who designed the hanging pot for Plastex. The Hookie is available for pre-order at the price of € 15. The product will be selected to the manufacturing line, if the minimum goal of 4000 euros is met. The crowdfunding campaign is, however, aiming at a higher funding goal of 8000 euros. - Over the decades, Plastex’ domestic products have become a part of the everyday life of every Finn. Plastex is a reputable brand in the market and this inspires and obligates us to develop our operations. Now, with the help of social media and crowdfunding, we are able to include the users in product development in a new way, says Plastex’ CEO Lauri Ant-Wuorinen. Plastex develops and produces plastic products in the factory located in Lohja, Finland. The products include i.e. watering cans, buckets, water containers, bottles and petrol cans. Plastex-products are sold in all major stores in Finland. Plastex is working closely with a number of designers. The goal for Plastex is to create new better products together with the customers and designers. Every product has a unique design story and own philosophy background which builds up the value of the design and usability. Our aim is to Design Your Everyday Life! Crowdsourcing, co-innovation and crowdfunding are going to play a very special role in the future of Plastex. The Hybrid floor squeegee is one of Moerman’s latest innovations for professional floor cleaning, proudly launched at the ISSA Interclean show in Amsterdam. This unique floor squeegee is the perfect combination of metal and plastic. 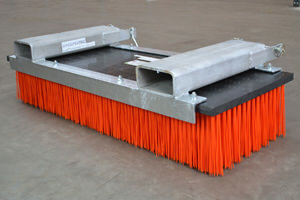 A floor squeegee with a heavy duty - double waterrim - metal frame, with a plastic threaded socket. This squeegee is especially designed for heavy duty cleaning jobs and offers superior user-friendliness thanks to the threaded handle. No tools needed to fix a handle to the floor squeegee! 1) natural rubber: the best rubber for floor squeegee applications and repetitive use on both smooth and uneven surfaces. 3) closed cell rubber: gives better wiping results. The Moerman ® closed cell Dura-Flex® rubber also avoids absorption of water and liquids and it prevents bacteria from harbouring inside the moss rubber. 4) The inside skin makes the rubber more tear and wear resistant and guarantees a perfect wiping result. The Moerman? Hybrid Squeegee will be available in 45 cm / 55 cm and 75 cm. Aktionskunst mit dem "grössten Pinsel der Welt"
Im Guinnes Buch der Rekorde ist er aufgeführt: der grösste Pinsel der Welt! Geschaffen wurde dieses Aktions-Kunstwerk von Ralf Dunkel, dem Inhaber von ARTE. Seine Kunstwerke sind vielfältig, sie reichen von Grossbild Kunstwerken z.B. an Hochhäusern über Kirchenbilder mit verschiedenen Materialien, wie Öl, Steinpulver, Pigmenten, Blattgold und vieles mehr. Der "XXL-Pinsel" hat eine Länge von 15 Metern, einen Durchmesser von maximal 1,2 Metern sowie ein Gewicht von 500 kg und kann - europaweit - für den Einsatz angeliefert werden. Einmal in Aktion gebracht geht es richtig zur Sache, da werden schon mal mit Publikum 200 Bilder an einem Tag gemalt. this development has been both accompanied and influenced by Zahoransky. Zahoransky accounts for approximately 10% of total employees; this is an enormous investment for the future. Under the name “Z111”, the machine building company ZAHORANSKY has successfully held numerous events at different locations. exhibition and series of lectures at the headquarters in Todtnau on 1st and 2nd July, 2013.
skills and to find their own, personal passion. Karaoke, Black Jack or constructing a cuckoo clock - there was something for everyone. through the eyes of the company’s founder, Anton Zahoransky. information on current machines and molds as well as the latest innovations was provided „live“. The Swiss brush manufacturing company, Ebnat Kappel AG, celebrated its 99th anniversary on April 20, 2013. Throughout the year of 2013 various events demonstrated its long lasting entrepreneurship. On this occasion it is worth while to look at the company’s history and its way of continuous success. In the beautiful Toggenburg country area, one of the most popular tourist destinations in Switzerland, you find the highly advanced brush factory securing jobs for a large number of qualified man power. In 1914 at the time of the foundation the company the region was farmland where you could find hand woven home made textiles without any industrial production structures. The people lived mainly from agriculture. Prior to 1914, the textile industry had already collasped due to the lack of exportation. On April 29, 1914 a small number of businessmen, including the village school master and a brewmaster founded Toggenburgische Holzwaren- und Reformbürstenfabrik Ebnat-Kappel AG. The company developped rapidly moving shortly afterwards into new modern buildings to produce its high quality product line which became known within Switzerland as well as abroad. Risky export business during and after World War I necessitated new investment sources to avoid liquidation. The money came basically from Volksbank St. Gallen. The company was reorganized in 1923 changing its name to Ebnat Kappel AG. During World War II Ebnat Kappel AG's total employment sky rocketed up to 200. One of the outstanding figures in the company's history was Dr. Hans Koch. He ushered Ebnat Kappel AG into rationalization and automation which enabled the company to establish equitable marketing pricing so as to withstand competitors. Profits were reinvested in order to continue the company's modernization. Social humanism primed in all corporate decisions. As early as 1942 the company instituted a full funded pension program for its entire personnel. At the end of 1987 Mr. Pius Thoma replaced his predecessor, Dr. Hans Koch. Before stepping into his new position he was Dr. Koch's assistant. The company henceforth took an advanced technological step forward by investing in totally automatic machinery. These results were evidenced at the celebration of the company's 99th anniversary; Ebnat Kappel AG is the leading Swiss company in its field. Today, the company employs 170 highly motivated employees. They produce an extensive range of products for oral hygiene (tooth- and interdental brushes) as well as a wide range of household brushes. The values, long term objectives and the role of the people in the company have formulated management into this mission statement: Management is implemented by social engagement, market proximity, dynamism combined with flexibility -all united in one creating fundamental success. The belief in the future of a free world market economy determines the thinking and actions of the Ebnat Kappel AG management. Processing of environmental adequate material and its application to the integrated production process are basics of product developments at Ebnat-Kappel AG. Brush manufacturing has undergone a tremendous production evolution over the past 99 years. Earlier craftsmanship and knowledge handling basic materials to be processed were required. Skilled hands placed bristle bundles into the brush body. So to speak, a brush is and was always a workmanship's piece of art. Today, production processes are almost invariable and fully automated. The profession of "brush maker" has changed to brush technician, even engineer. At present, Ebnat Kappel AG employes a multinational team of men and women is the base of the success of the various production lines. General appreciation of a product "brush" is unfortunately highly under estimated. For this reason, Ebnat Kappel AG periodically opens its doors for guided tours so as to show astonished audiences the power of such industrial skills that stands behind its products. Quality, functionality and esthetic design of brushes, either made of wood or plastic, are characteristic of all brushes produced by Ebnat Kappel AG. New colors and shapes are visible benefits of consumer decisions to buy or not to purchase such a product. "Ebnat Kappel AG believes in a positive future. It's all in our own hands! A company with 170 employees plays an important roll within the Toggenburg greater area. We felt and still feel responsible ... yesterday today and tomorrow." The American Brush Manufacturers Association (ABMA) is in the process of revising and updating ANSI Standard B165.1, 1979 (R2010), Power-Driven Brushing Tools – Safety Requirements for Design Care and Use. A work committee has reviewed the standard and made recommendations for revisions. The standard was originally developed in 1979 (last update 2010) to establish the rules and specifications for safety that apply in the design, use and care of power-driven brushing tools. It embraces all brushing tools whose brushing elements are made up of ferrous wire, non-ferrous wire, plastic, abrasive filaments, vegetable fibers, animal hair, or other materials, and brushes fabricated with any combination of such elements and whose functional performance is accomplished by power driven operation. The standard does not cover brushes constructed of wood or synthetic hub or cores, and brushing tools whose primary function is vehicle or train washing, carpet sweeping, dental hygiene, floor maintenance, sewer cleaning, street sweeping and brushing tools manufactured in accordance with other American National Standards. The American National Standards Institute (ANSI) coordinates the development of U.S. voluntary national standards and provides an open, equitable and accessible consensus process that ensures due process and benefits the public interest. Producer – Manufacturer of power brushing tools or a trade association or society that represents the interest of such manufacturers. User – Organization (company, association, government agency, individual) that uses these tools. General Interest – Organization that has an interest in power brushing tools, but neither produces nor uses them directly. If you are willing to participate in the important activity, please fax or send a letter or an e-mail to ABMA with the contact information of the person in your organization that should receive the materials: attention David Parr, Executive Director.